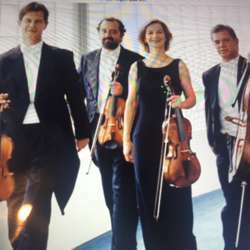 The renowned string quartet das Hagen Quartett will soon be coming to Berlin! Here is your chance to listen to and enjoy chamber music at the highest level! You should book your own ticket online! There will be works by Haydn, Schubert and Schumann. Hope to see you! !